Preparing for a disaster is often time consuming and expensive. The time spent developing the plan and the added cost in providing additional equipment at an offsite location is sometimes too costly. When I speak to business owners on the topic of disaster recovery (DR), I generally equate it to car insurance. You may never use it, but if you're involved in an accident, you're glad you have it. In today's IT environments, virtualization has a big footprint. 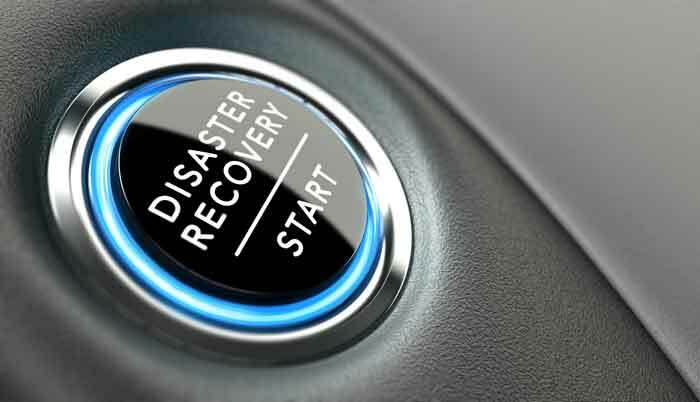 Most, if not all businesses now realize that virtualization could and should play a big part in a disaster recovery plan. Read the blog post, "3 Essential Steps in Virtualization Design." Using virtualization solutions, such as those provided by Veeam, makes it easier to capture data and migrate changes to a DR site with an RTO of as little as 15 minutes. In the event of a full or partial site outage, the virtual servers are ready to be powered up at a moment's notice. With virtualization, disaster recovery does not have to be expensive. If you are a small business with multiple offices, each office can play the role of a DR location for the other. A larger business should consider colocation services from a protected data center. Learn about your options for disaster recovery in the blog post, "Which Backup Option is Best for You?" Once your plan is established and documented, testing should be conducted. At a minimum, these tests should be performed annually, but for smaller businesses, I suggest quarterly reviews. Learn about the differences between disaster recovery plans and business continuity plans in the blog post, "Using Business Continuity Plans to Prepare for Disasters." You can protect your business from disasters by using Corserva's disaster recovery services. We customize a program for you to meet your specific needs, and manage that program on a daily basis to ensure effective execution and preparedness for data loss and disaster recovery situations. Corserva owns two HIPAA and PCI compliant data centers in Orlando, Florida and Trumbull, Connecticut. From these locations, we provide business continuity, colocation, private cloud, network operations, user support, and security operations services. Our data centers are SSAE 18 SOC 2 Type II compliant. Request a quote for our backup & disaster recovery plans. Mike has 30+ years of IT experience where his roles have spanned both sides of the fence; working within an IT department at a single company as well as working at a provider servicing multiple clients. His current responsibilities at Corserva are architecting systems for clients that include virtualized environments and private clouds. He has several certifications including DCD, VCP, and VCP-DT.